I have used the above value and successfully created a new account on Firefox. However, whenever I try to watch a video, it says "發生問題，請瀏覽其他內容！". Done as you said. 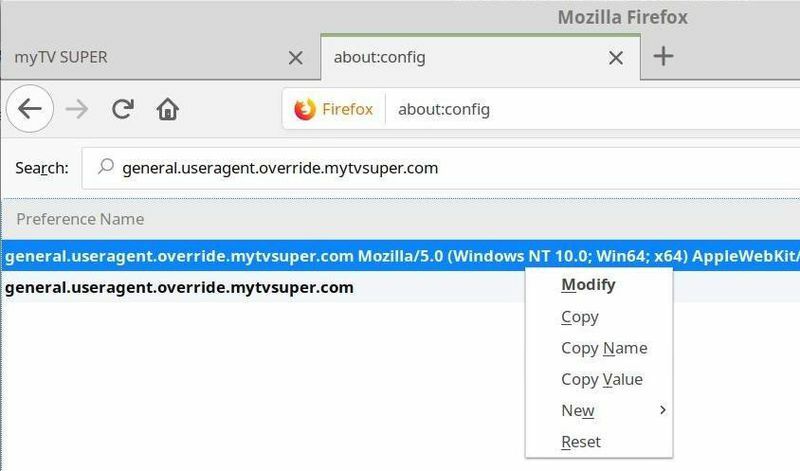 See whether you can watch the following videos on your Firefox. Thanks a lot! 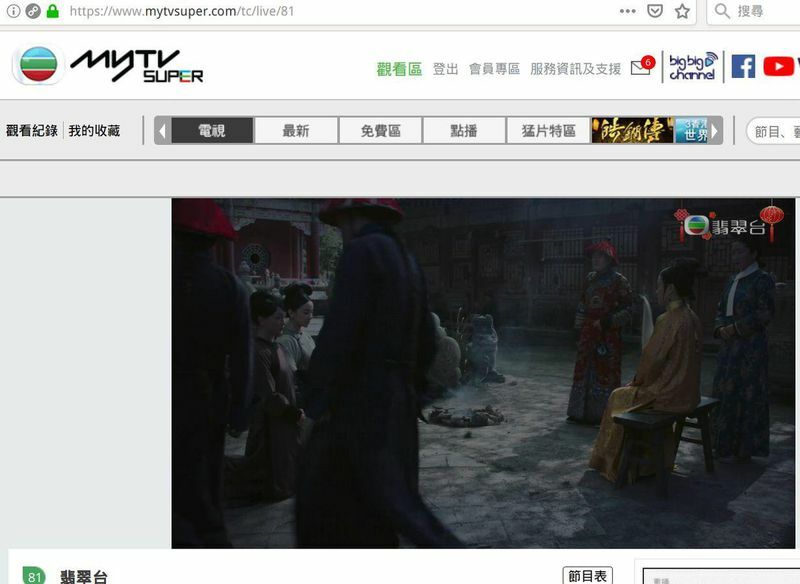 I can now watch the videos on Firefox. I have mistakenly added a wrong preference name as shown below. How can I delete it? I cannot find a "Delete" option. "reset", should be gone once you relaunch Ff. alternatively, edit ~/.mozilla/firefox/<sessionid>.default/prefs.js and take out that line. right click on the item and select "reset". next time you start firefox, that item will be gone away. You may keep using my account until next month. Consider creating your own account if you enjoy the videos. 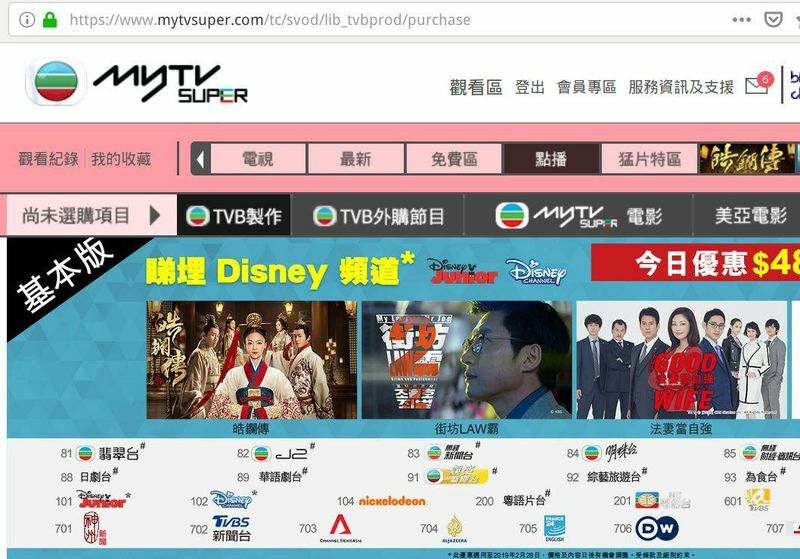 I am able to watch myTV super on Ubuntu 16.04.3 now. Thank you all. Recently I have encountered this problem. And I have made a Chrome extension to handle this. Have you tried the following method? 寫網條友完全無預 linux。佢段 code 只係 detect mac 同 windows. Could you point out which code you were talking about? I am interested to know more about it.